First off, you'll notice that this switch can drop into behind a normal "Decora" style switch plate, so if you have a switch on the circuit already, this just replaces the existing switch. Now here's where it starts to get cool. 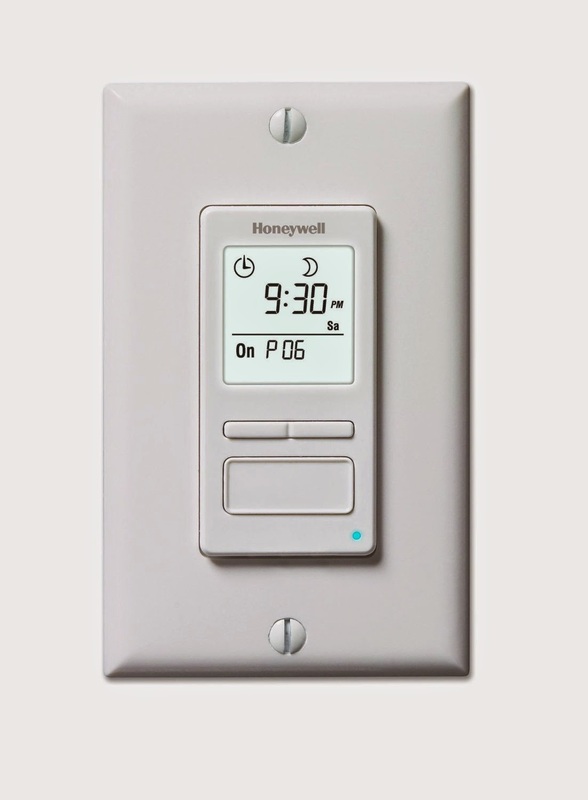 This switch is more than just a timer, it's a "Solar Time Table Timer." If you've got day/night lights right now, you probably have a photo sensor of some sort. If you've had many devices with those, you know that they are, how should I put it -- sketchy. Using a timer fixes that problem, but here in Dallas, including changes for Daylight Savings Time, sunset ranges from 5:21 pm to 8:39 pm, and sunrise has a similar range, and that's where this timer helps. Turn on 30 minutes before sunset, turn off at midnight. Turn on at 5am, turn off at sunrise. Basically, you can offset from sunrise or sunset as much as 70 minutes either way, and you can set fixed times. For my application, I used two, one for my exterior lighting and one for my Christmas lights. There are a couple of versions of this switch, but the one I chose can handle 1800W, or 15A at 120VAC. This is enough for over 250 traditional incandescent Christmas light bulbs. The switch also has "vacation" feature which will turn lights on and off between dusk and late evening in a manner to simulate someone being home while you're on vacation, but I don't plan on using that feature since I'm not using these for interior lighting. We'll get to better solutions to that problem in a future post.